The revolution in communications and information technology is making it possible for South Florida State College students to receive instruction through a variety of technologies. Student pursuing an Associate in Arts degree can take all courses online except Oral Communications. Many Associate in Science degree courses are also available electronically. Online courses are listed in the class schedule. Electronic learning courses consist of synchronous and asynchronous activities. They are available to any SFSC student in good standing who has access to a computer and any required hardware or software. Online courses provide an alternative to traditional classroom instruction and cover a broad range of topics. Asynchronous courses are conducted via Web-based instruction and collaboration. Students may be required to attend face-to-face orientations or take proctored exams but not required to attend class at regular times. Hybrid courses consist of a combination of classroom instruction and content delivered over the internet or other methods, which reduce the need for class attendance. 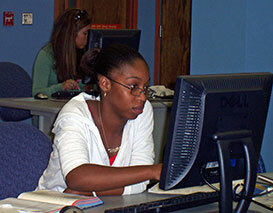 Web-enhanced courses meet regularly and require classroom attendance. Some course materials are delivered online (syllabi, course notes, etc.) and require significant media and email exchanges. Students may take some college courses (not including preparatory courses) through Directed Independent Study (DIS) or Special Independent Study (SIS). If you wish to do so, obtain a request form from the Office of the Registrar and submit it to the appropriate chairperson or dean. Upon their approval, an instructor is assigned to direct the independent study course, and the student registers for it in the regular manner. DIS courses are allow the student to pursue particular topics within a specific academic discipline under the guidance of a qualified instructor. The student is in his/her last term and a course required for graduation is not being offered. Students may complete a maximum of 15 hours of coursework through independent study. The instructor specifies the requirements that the student must complete, including tests, periodic class attendance, and term papers. The college’s regular grading system applies. Independent study grades have the same status as those acquired through regular class attendance.